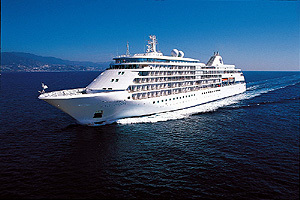 Silversea cruises has planned its largest ever programme of ex-UK sailings for 2011. Due to the record number of cruises departing from British ports in 2011 Silversea hope to educate more travel agents and passengers on the brand. They are keen to invite more agents onboard to experience the ships, including their latest arrival, the Silver Spirit. The cruise line's decision to extend their UK programme is on the back of a successful 2010. With 12 sailings this year the number is double that of 2009 and 15 sailings for 2011 shows a steady increase. Next year will see four of Silversea's ships sailing from the UK. Silver Spirit, Silver Whisper, Silver Cloud and their expedition class ship Prince Albert 2 will offer itineraries from ports such as Tower Bridge, Southampton, Portsmouth and Leith.